Take the elevator to the top levels of the building, opening right into your unit and immerse yourself in the beauty of your surroundings! The expansive, open-air living and dining space of The Penthouse melds into the open air living area and allows for uninterrupted views from every angle of the property. With a private infinity pool just steps from the living area & terrace and daily personalized chef service, you will feel pampered in paradise. 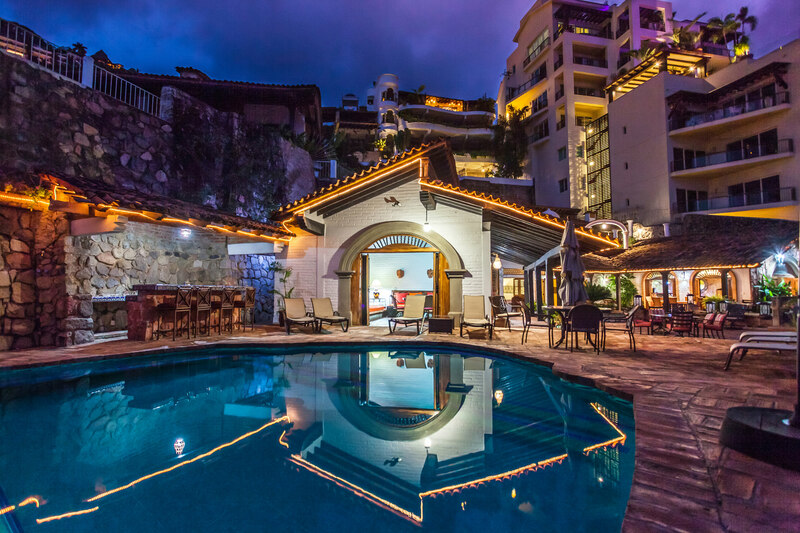 Our Penthouse in Puerto Vallarta simultaneously envelopes you in an aura of luxury and great comfort; although home is far away, you are sitting in your own living room. With nearly 4,500 square feet (418 square meters) of living space, The Penthouse is so spacious that you have to see it to believe it.